THANKS FOR YOUR ORDERS THIS HOLIDAY SEASON!! 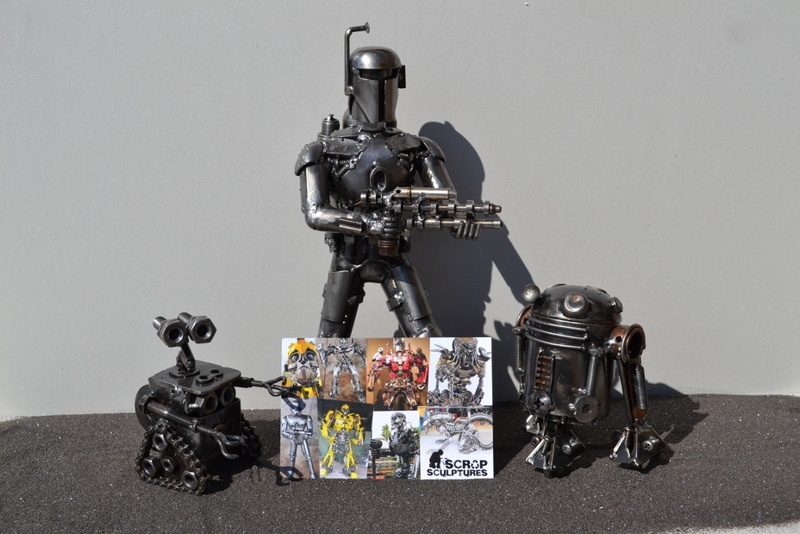 WE ARE ALMOST SOLD OUT OF ALL OUR SCULPTURES AND ARE WORKING ON A WHOLE NEW LINE UP FOR 2015!! 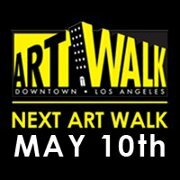 FOR OUR FANS WHO WOULD LIKE TO SEE OUR SCULPTURES IN PERSON - ScrapSculptures will be exhibiting at the LOS ANGELES Downtown Art Walk Lounge MAY 10th !! You can contact us for more info. 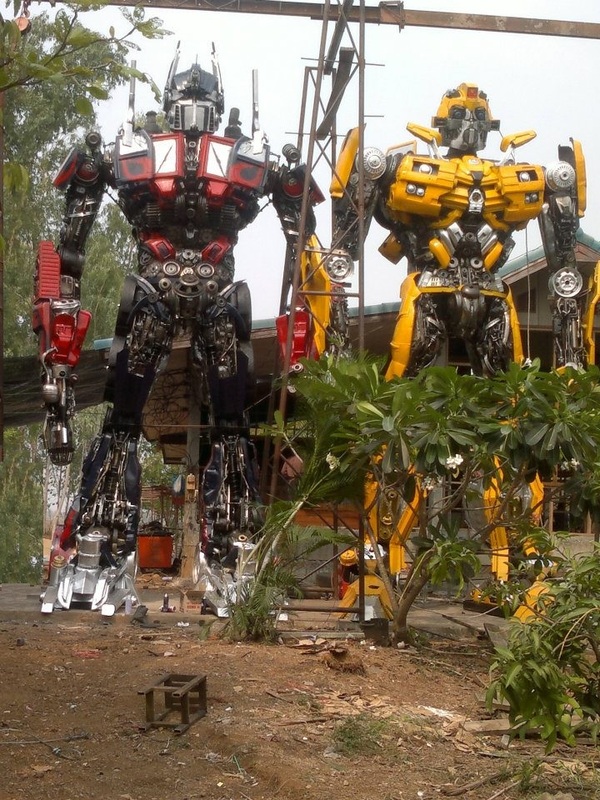 The huge NEW 2012 11 feet Transfromers, Optimus Prime and BumbleBee hand made from recycled scrap metal!! 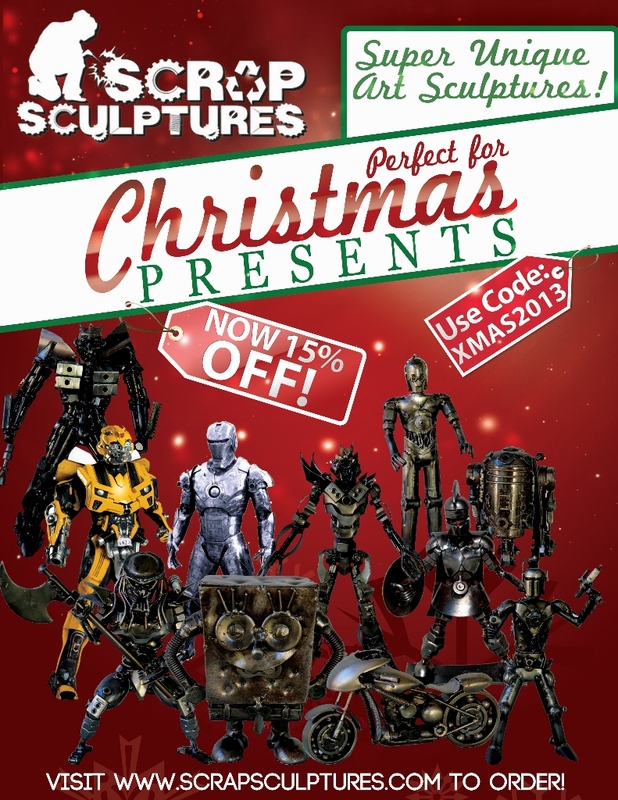 SCRAP SCULPTURES NOW OFFER DIRECT CREDIT CARD CHECKOUT!! GREAT Facebook Fan Page Promotion!! 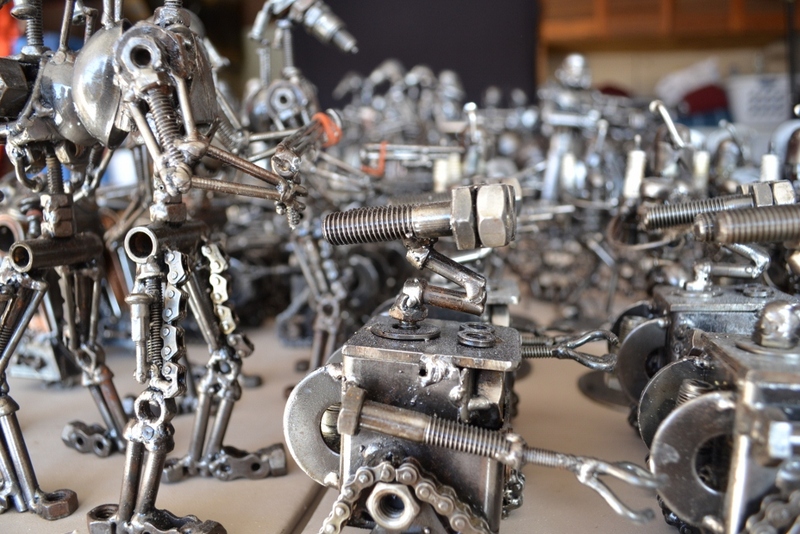 The Scrap Sculptures website is now officially updated. We are currently still working on uploading more unique sculptures for you. Go ahead and check out our cool new art! 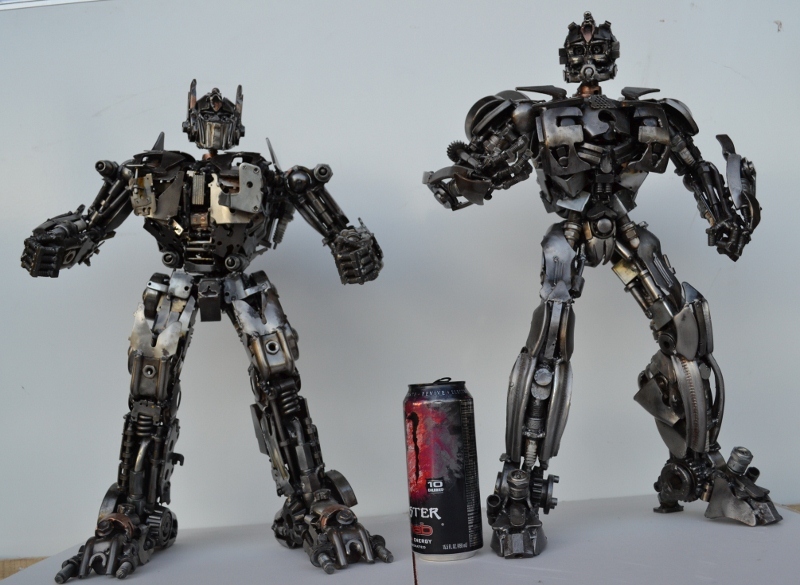 Finally a big part of our Scrap Sculptures collection is completed. Our staff is working on uploading the new Sculptures on to our website. Soon you will find amazing sculptures including Wall-E, Terminator, Optimus Prime, Battle Droids, Warriors and many more cool characters! 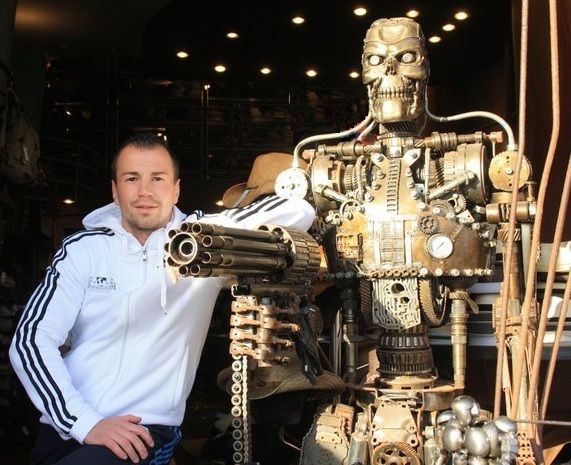 A big SCRAP SCULPTURES fan, professional boxer and former WBC Middleweight World Champion Sebastian Zbik, seen here with one of our life size sculptures. 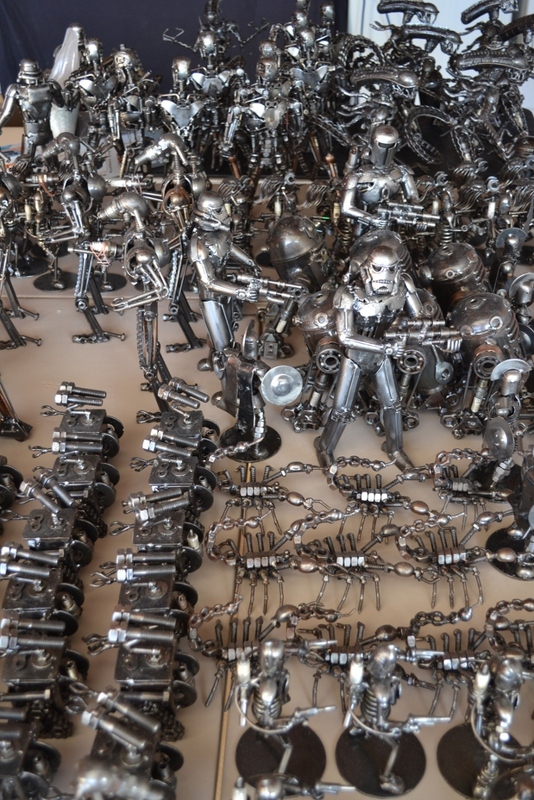 The Scrap Sculptures artists are giving final touches to our NEW 2012 SCRAP SCULPTURES COLLECTION. -Check out our new collection arriving January 2012 !